AMMA principal employee relations consultant Bill Fitzgerald reviews a recent ruling from the Federal Circuit Court in which a new employee’s allegation the lab testing company was not following Australian standards in soil testing led to his dismissal. 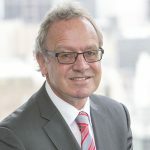 The former state manager for soil and rock classification testing group Trilab filed an application in pursuit of remedy on grounds his dismissal contravened general protections cited in the Fair Work Act 2009. The employee, who had only been with the company for three weeks, complained to management about the method of soil testing undertaken by the company. Three days later, his employment contract was terminated. The former worker argued that his dismissal was the result of him exercising a workplace right by lodging the complaint about the company’s testing methods. The company sought to summarily dismiss the claim based for the reasons that his termination was entirely due to performance reasons, however this was unsuccessful. Judge Antoni Lucev of the Federal Circuit Court was asked to decide whether the employee’s complaint about an operational issue constituted a workplace right, given that it had no basis in any statutory, regulatory or contractual right or entitlement. Specifically, it was argued the complaint about the operational issue was not ‘in relation to the employee’s employment’ and thereby did not fall within the scope of an employee’s right to make a ‘complaint’ or ‘inquiry’ under section 341 of the Fair Work Act 2009. That all the employee had to establish is an indirect nexus with the terms of employment or about a workplace process which concerns or has implications for an employee’s employment and therefore falls within s.341(1)(c)(ii). The court accepted that the employee’s complaint was linked to his role with Trilab, and was therefore a complaint or an inquiry in relation to his employment. “Having regard to the [the employee’s] duties, and the width of meaning of the expression ‘in relation to’, it appears to be arguable that a complaint or inquiry was made by [the employee], and was made about the testing methods in Trilab’s Perth laboratory, and is, therefore, arguably a complaint or inquiry in relation to Mr Evans’ employment,” Judge Lucev reasoned. “Even if the questioning of testing methods has no basis in any statutory, regulatory or contractual right or entitlement, that does not preclude Mr Evans from being able to make that complaint or inquiry. The court dismissed Trilab’s application for summary dismissal, freeing the case to move forward to hearing. To read the decisions in full, click here. Given the broad approach taken by the court in this case to what constitutes a workplace right, AMMA members are advised to exercise extreme caution in dismissal processes and seek advice from AMMA before taking similar action so as to avoid adverse action claims. Adverse action claims entail a reverse onus of proof, placing the burden on the employer to prove they took action for reasons such as performance, rather than because an employee exercised a workplace right. It is beneficial to designate an impartial decision-maker and establish job requirements so that breaches of such requirements can be addressed and managed in a uniform method across the organisation. Doing so will ensure there is a track record of consistency in treatment of policy breaches across all staff, strengthening the argument that dismissal was not related to a complaint or inquiry. To protect your organisation from adverse action claims, contact your local AMMA office and speak to our workplace relations experts for advice, guidance and information about tackling dismissals and other disciplinary procedures.